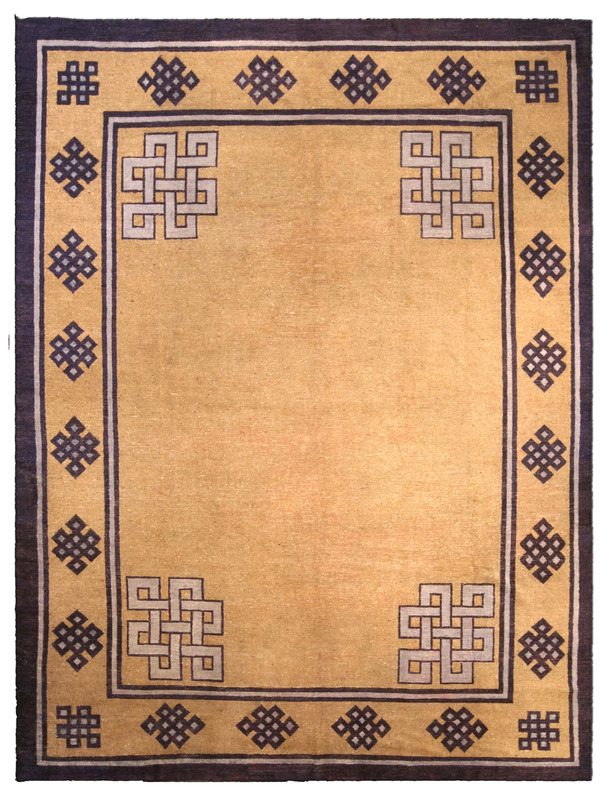 An early 20th century Mongolian antique carpet, the beige field having enlarged ivory knot motifs in each corner within a beige border with continuous blue knot motifs within a solid blue outer stripe. 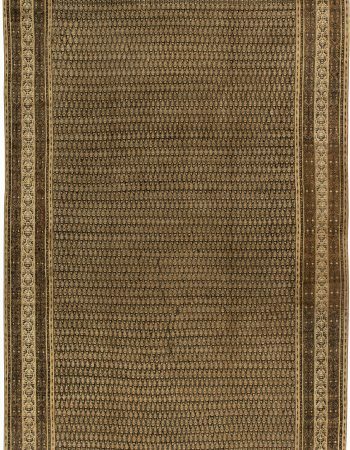 The most recognizable vintage area rugs from the 1920’s and 1930 were made by Walter Nichols – the American who manufactured deco carpets in Tientsin. 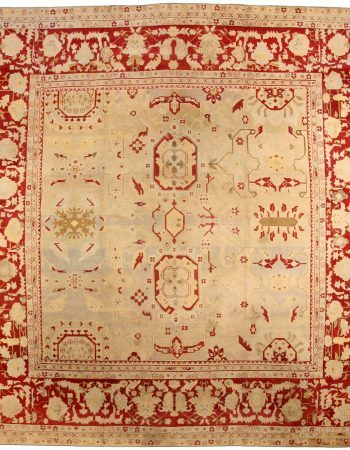 They were usually made of wool and the finest silk while depicting exotic Asian flowers and birds in very rich, bold colors like magenta, turquoise, emerald and ruby. 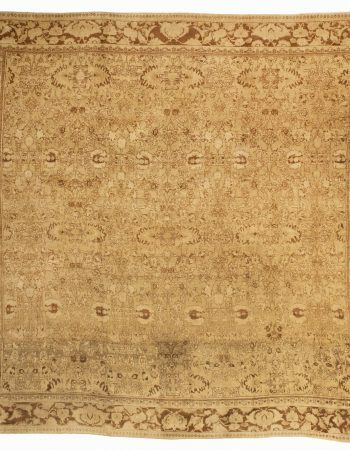 Chinese art deco rugs for sale produced in Kashgar, Yarkand and Khotan in the Chinese occupied Autonomous Region of Sikiang are collectively known as Samarkands. 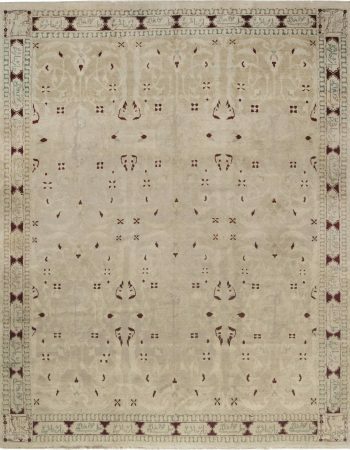 Typically long and narrow with simplistic spacious designs rendered in a glossy wool, Samarkand rugs frequently employ colorations of lacquer reds and Chinese yellows. 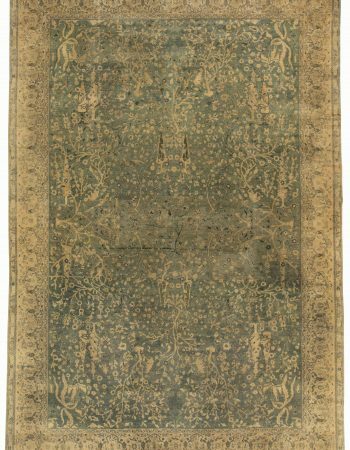 They are heavily influenced by the neighboring countries of China and Turkey and have been produced in this region since at least the seventeenth century.